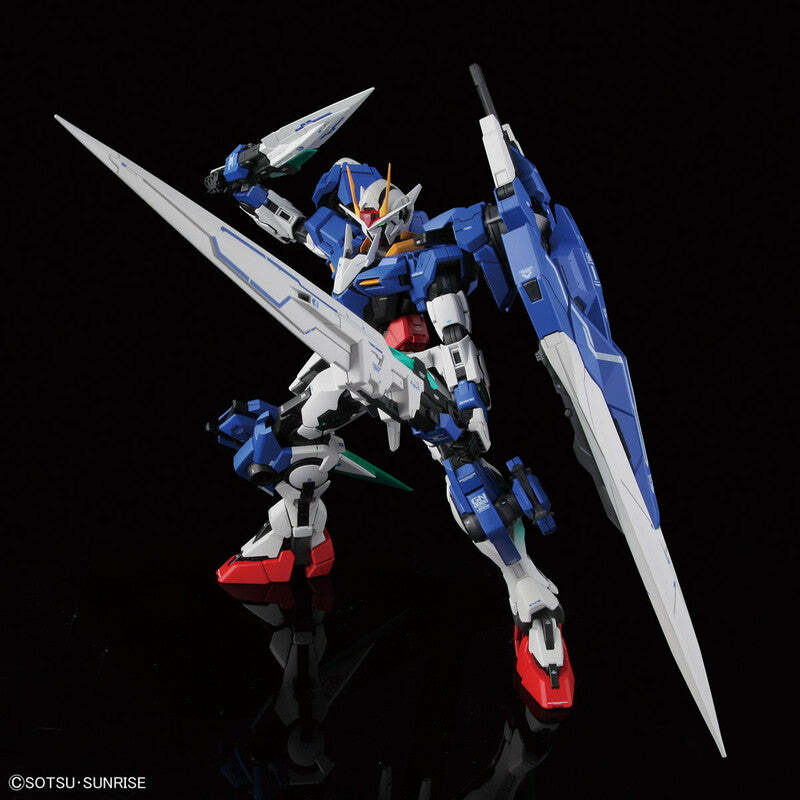 Under the supervision of its original designer, Kanetake Ebikawa, the 00 Gundam is re-introduced to the Perfect Grade line with new parts in the head, legs, and shoulders that refine its body proportion in addition to new weapons! Designed as an alternate equipment loadout, the Seven Sword/G equipment features 7 GN blade themed weapons and 1 blaster: GN Buster Sword II, GN Sword II Long and Short blades, 2 GN Katars, 2 GN Beam Sabers, and the GN Sword II Blaster each with displayable gimmicks The GN Buster Sword II can convert between shield and sword forms and features LED gimmicks. GN Sword II Blaster when fully assembled, measures over a foot long (13.38”)! 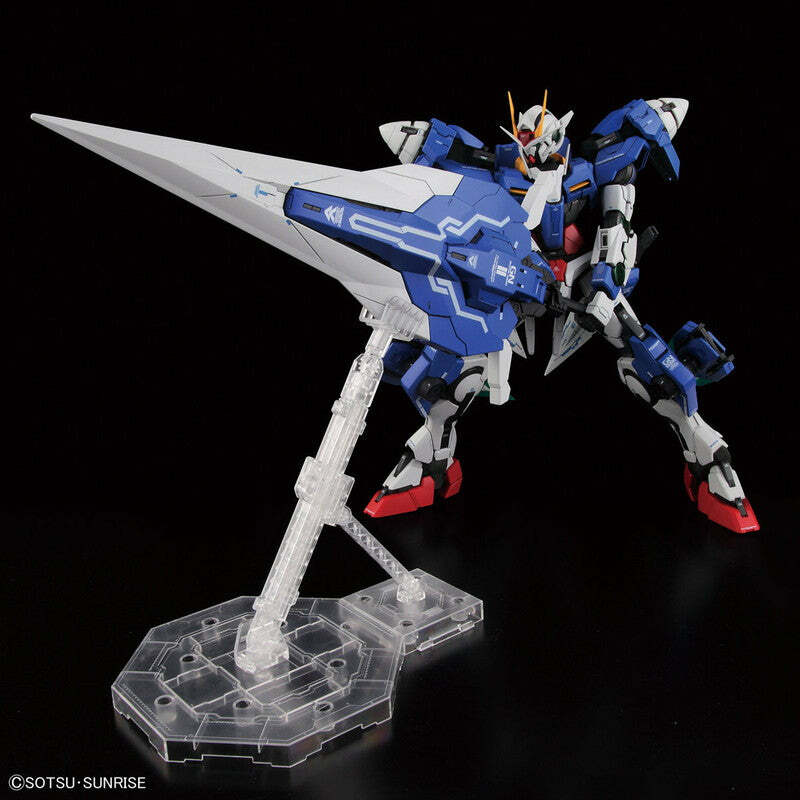 GN Katars can be mounted on knees and also held in hands. 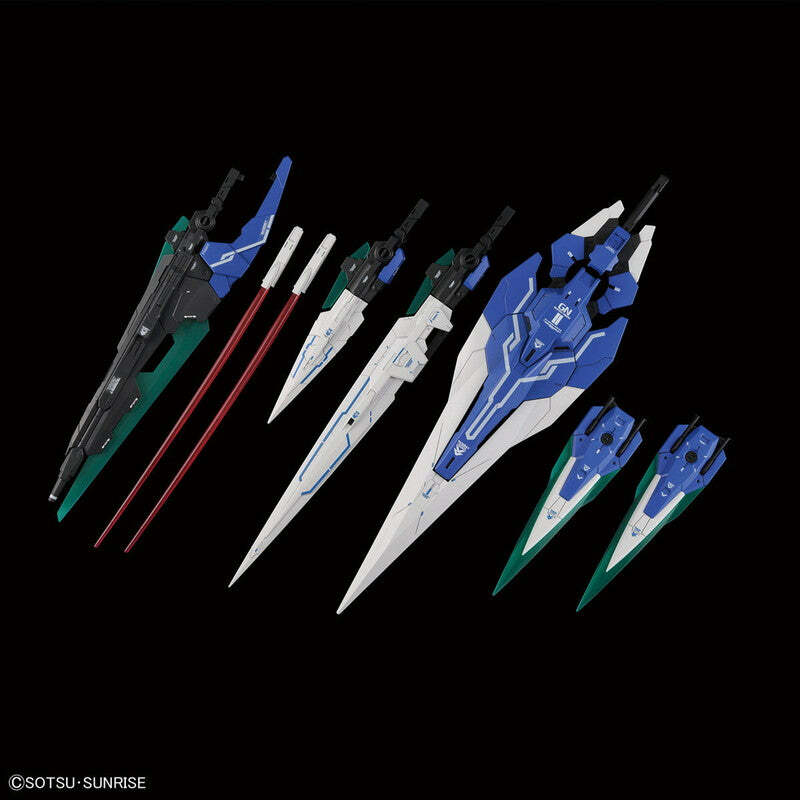 Both GN Sword II weapons can convert between sword and rifle modes, and a wire is included to replicate the rocket anchor ability of the Short sword.